The Dutch are eating less meat, with two in five people saying they cut down on steak and burgers last year, according to research by website Nu.nl. Around one third of the 20,000 people polled said they ate meat every day, while one in 10 is vegetarian and 7% fully vegan. Some 90% of vegetarians and vegans said animal welfare issues were the main reason for giving up meat. The environment was the main reason cited by meat eaters who had reduced their consumption, but around 50% also mentioned animal welfare. A quarter of the vegetarians in the survey had given up meat at least 20 years ago, but around a quarter ‘converted’ in 2017 or 2018, Nu.nl said. 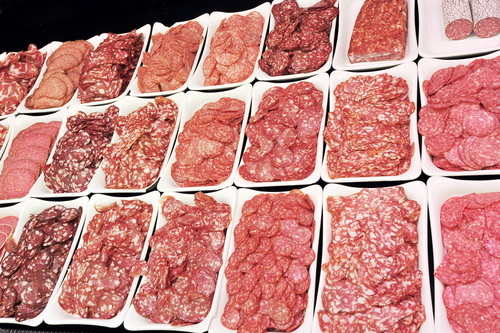 Last month, broadcaster NOS reported that the Dutch are buying more vegetarian hamburgers, chicken nuggets and other meat substitutes but meat is still king. According to data analyst group IRI, meat substitutes are becoming more popular but still only represent a fraction of what is spent on meat. In the first 11 months of 2018, some €2bn was spent on meat products, compared with €97m on replacements. The first ‘national week without meat’ in the Netherlands was held last March. During that week spending on substitutes shot up by 50%, partly because supermarkets had offers on to promote the products, NOS said.